She became a maiko (apprentice of geiko) of Gion-machi, Kyoto at the age of 16 and turned to a geiko (the way geisha is called in Kyoto) at the age of 21. 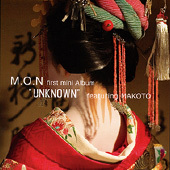 2001: Major label debut as a singer with the release of the album “MAKOTO”. Also this year, she became an accredited master of the Inoue school of Kyomai (traditional Kyoto style dance). 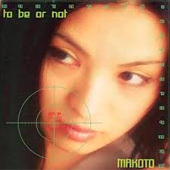 2002: Released the album “to be or not” and two singles written by Fumiya & Naoya Fujii and Tetsuro Oda. 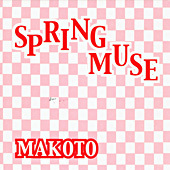 2011: Released the album “MAKOTO Sings Jazz”. In this year, she developed cancer and stopped her activities for about 18 months. 2012 summer: Made her comeback. 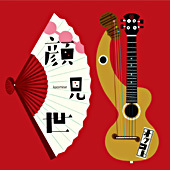 2013 November: Released the CD “kaomise” featuring 4 songs as OguKoto, the unit with guitarist Hirokazu Ogura of YAMAGEN. 2013 December 25th : Retired from geiko. 2014 March: Made her European debut at New Morning, an established live house in Paris, France. Today, Gion Makoto performs as a JAZZ singer in Kyoto, Osaka, Nagoya and Tokyo. She also works actively in various fields including giving lectures on themes such as the culture of Kyoto and Gion, etc. ©Copyright 真箏 Makoto All Rights Reserved.